Build friendship through respect, honesty, and tolerance. Learn to work with others: teamwork spirit development. *Important Notice: Trailblazer participants and families may join in on this year’s Earth Day Service Project at Hongfeng Lake on April 27th. 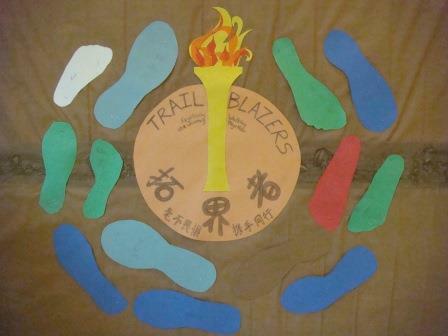 Trailblazers will also plan a Camp Out for the last weekend of June. Parents will receive separate announcements with the details for the special events. Class Fees and Registration Each class is allowed 10 participants. If the class fills and your child has not been registered, you may place your child’s name on a wait list. Class fee for the entire semester is required at the time of registration. Fees cover the cost for curriculum development, teachers, facilities and materials. There may be additional transport and/or meal fees for the Earth Day Service Project at Hongfeng Lake and June Camp Out. To register, contact Sunny Zhang at QQ 352544322 or phone 189 841 00 841. Deposits may be made at China Merchants Bank, Guiyang Da Shi Zi Branch. The Account numbers is 851900185210501, Account name (Guizhou Xue Hai Wu Ya Jiao Yu Zi Xun You Xian Ze Ren Gong Si) 贵州学海无涯教育咨询有限责任公司。Please text Sunny when the deposit has been placed. 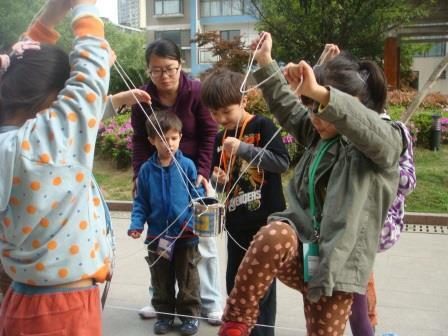 You may also register in person at Our Place, 179 Bao Shan Nan Lu, Xing Fu Jia Yuan, A-1-1-1.